The Palestinian Prisoners’ Society (PPS) has reported that Israeli soldiers abducted, on Wednesday at dawn, fourteen Palestinians, including children, from their homes, in the northern West Bank governorates of Nablus and Jenin, and in the southern West Bank governorate of Hebron, during extensive and violent searches of homes. The Jenin office of the PPS said the soldiers invaded and searched several homes in Qabatia town, south of Jenin city, and abducted Ra’ed Saba’na, Ali Yousef Kamil and Omar Hashem Kamil. It added that the soldiers also abducted Ziad Arsan al-Kilani, from his home in Siris town, south of Jenin. Many army jeeps also invaded Jilqamous village, east of Jenin, and stormed the home of Ghassan Tawfiq al-Haj, before interrogated him and his family while ransacking the property. The soldiers also installed several roadblocks in and around many villages and towns in Jenin, stopped and searched dozens of cars, while military helicopters flew overhead. 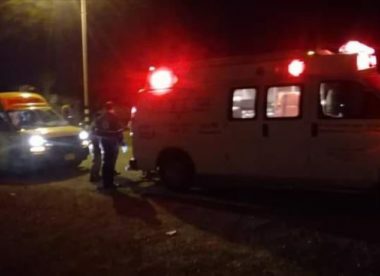 Furthermore, the Nablus office of the PPS, also in northern West Bank, said Israeli soldiers abducted five Palestinians from their homes in several communities in the governorate. The PPS said many armored Israeli army jeeps invaded many areas in Nablus city, searched and ransacked several homes, and abducted Hamza Mo’in Tabanja, and Ahmad Salman Samhan. In addition, the soldiers invaded Tal village, southwest of Nablus, and abducted B Issam Reehan, 21, from his home. The soldiers also invaded homes in Beit Dajan village, east of Nablus, and abducted Farouq ‘Obeisi. 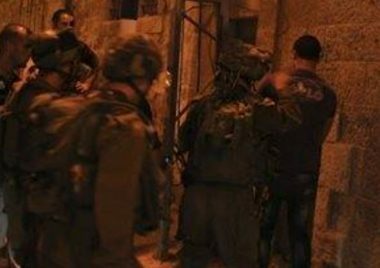 In Hebron, in the southern part of the West Bank, the soldiers invaded many homes, and interrogated several Palestinians in Beit Ummar town, north of the city, and abducted four Palestinians, including two children, in addition to a young man in Beit Kahil town, west of Hebron. The soldiers abducted Mos’ab Monir Ekhlayyel, 23, Mohammad Issa Bahar, 19, Abdullah Bassam at-Teet, 16, and Khader Younis Awad, only 12 years of age, from Beit Ummar town, in addition to Taher Asafra, from Beit Kahil.